You are here: Home / News / Latest News / Leading By Example – Our donors share their passion for this cause! LAND OVER LANDINGS SUPPORTERS SHARE THEIR PASSIONATE REASONS FOR DONATING TO OUR GROUNDBREAKING AG STUDY! 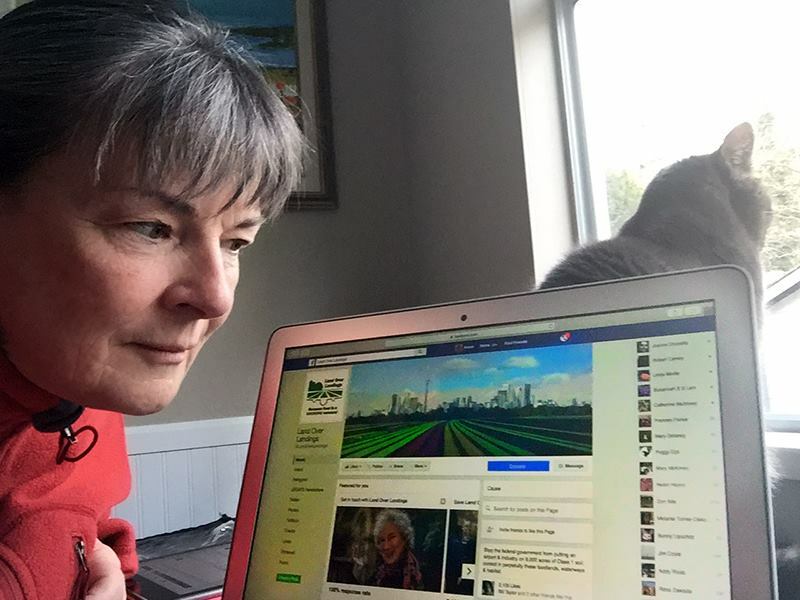 Pat Learmonth, Peterborough: As Director of Farms at Work, Pat co-authored the report which led to the protection of farming in the Rouge National Urban Park. 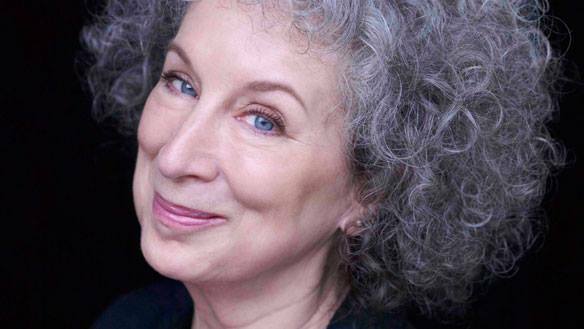 She says: “The population of Ontario has outstripped the current level of food production in Ontario, according to a study by Ontario Farmland Trust in 2009. We need to save farmland for farming and especially for food production, and this land, so close to our largest urban market, is invaluable. 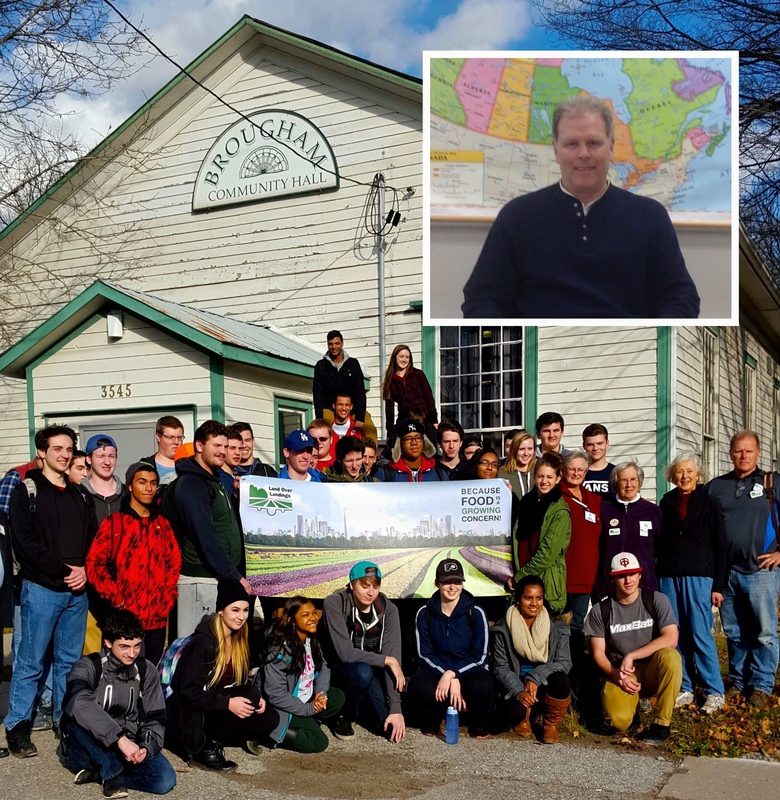 It is also a great opportunity for new farm businesses to establish themselves over time.” Thanks, Pat, for your donation, your support, and for all you do for farming in Ontario! 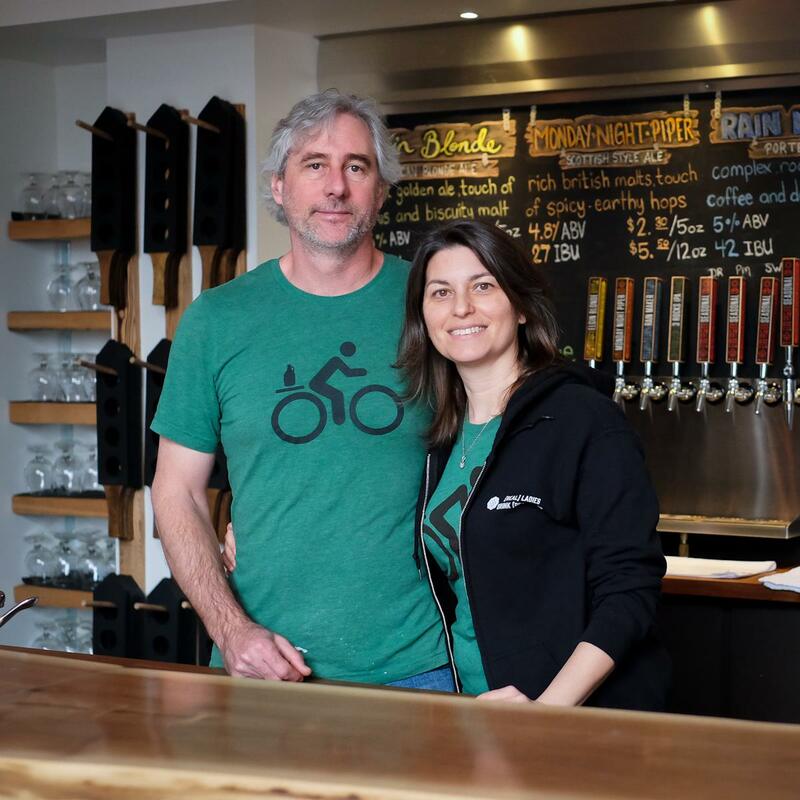 Rob Garrard and Joanne Richter, Uxbridge: Co-owners of The Second Wedge Brewing Company, Rob and Joanne say: “At The Second Wedge Brewing Company, we value locally grown food and small-scale agriculture. It’s especially important to put land to use in responsible ways. All land is not the same, and when you realize that nearly 7,500 hectares of Class-1 soil are at stake – the world’s cream of the crop farmland – you start to understand what a devastating waste it would be to pave that all over. We’re excited about Land Over Landings’ Ag Study because it will provide validation for an alternative economic development plan that brings business and tourism to the region, while also preserving its natural assets.” Cheers, Second Wedge! 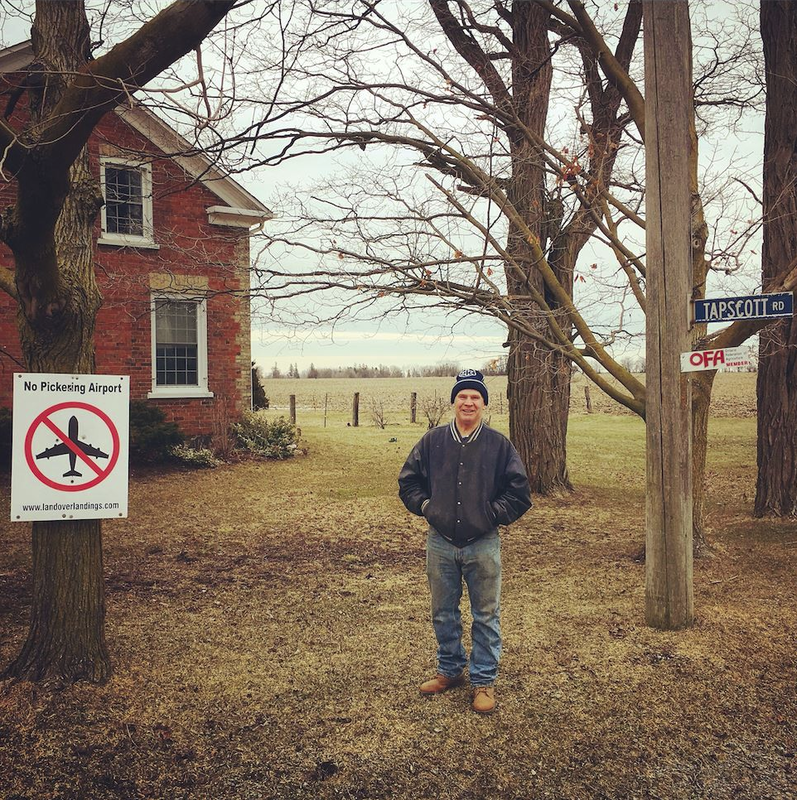 Mohamed Dafer, Stouffville: On the 45th anniversary of expropriation, new supporter and donor Mohamed sat down to watch ’The Last Stand’, a documentary about the original expropriations, People or Planes, and resistance to the proposed airport. He wrote to us that he was “filled with emotions from start to end….To understand how unjust this whole situation is and know that it’s still dragging on is just so frustrating…. My parents and ancestors had their own battles on a different continent. But, as far apart as we were, I felt that your struggle was/is mine.” Moe is from Beirut, Lebanon, a city torn by wars and conflicts since 1975 when he was 9 years old. A proud Canadian since 2015, Moe and his family have recently settled in Whitchurch-Stouffville, Ontario. He donated to our Ag Study, saying it’s “time to hit DELETE on this project and listen to the people by turning this land into a food bank for the GTA.” Welcome to our cause, Moe! Ron Tapscott, Pickering: Ron was just a kid when his family sold the farm in Scarborough and bought one in Pickering, where they thought life would be good. About 15 years later, they were expropriated. Ron says if it hadn’t been for the airport, he’d likely still have a thriving dairy operation today. But with one-year leases it’s been impossible to plan or invest. “I saw where [Durham Regional Chair] Roger Anderson said agriculture was the second most important business in the Region. So I called him up and asked how come he wanted to put an airport on top of farmland. He never really answered…” Tapscotts, Millers, Reesors and others who have stayed to farm these Lands want to restore mixed farming, revive communities, and make it possible for young farmers to make a productive living here, but none of that can happen until the threat of an airport is gone, and long-term leases are granted. Maybe then Ron can buy that new $600,000 combine he needs. Now that’s big business! 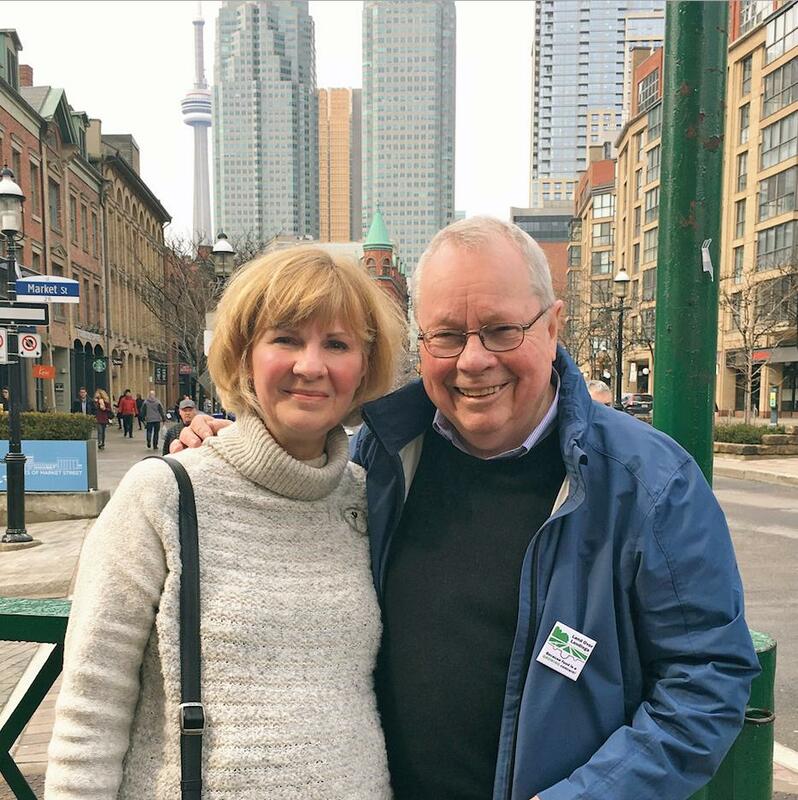 David Crombie, Toronto: “Food, water, and jobs. That’s the focus,” says David Crombie, former mayor of Toronto and head of the recently completed Coordinated Review of the Greenbelt. 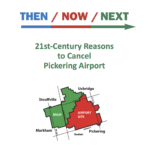 “And everything must be viewed through the lens of climate change.” Crombie has opposed a Pickering airport since the early 70s and today backs our efforts and our Ag Study. In the heart of his beloved city, flanked by the St. Lawrence Market, with the Flatiron Building and the CN Tower behind, we met to seek his guidance (as we do periodically). He is solidly onside with all our efforts, particularly bringing together decision-makers at all levels, plus the environmental, food, and ag sectors. Over 40 years ago he stood in the back of a pickup truck to bring the flag of the City of Toronto to the women occupying the house for The Last Stand. He has never flagged in that support, and today considers this cause, stopping an airport and saving these lands and water, as one goal he wants to see through to fruition! –Pictured here with our Communications head, Pat Valentine. 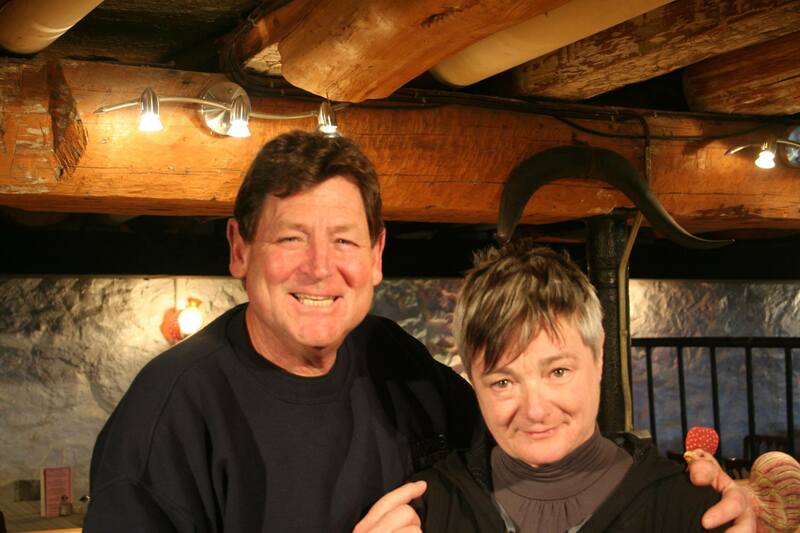 Steve Graham and Ann Ward, Whitevale: We are so grateful to Steven and Ann of Herongate Barn Dinner Theatre for giving us the opportunity of a fundraiser this past March. 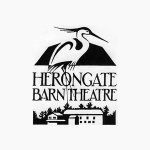 Herongate has been a landmark on the Rouge-Duffins Ag Preserve for 43 years, providing great entertainment and a shining example of what agritourism could be on the Federal Lands. 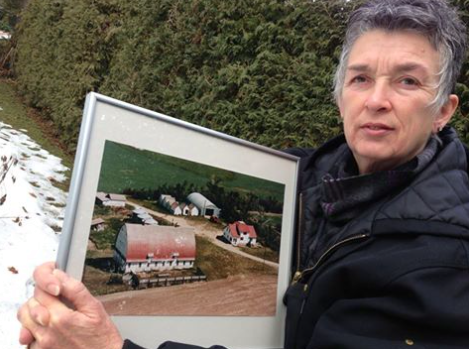 The original Hornshaw farm was expropriated by the province on March 2, 1972, for a satellite city that never came, to support an airport that was never built. 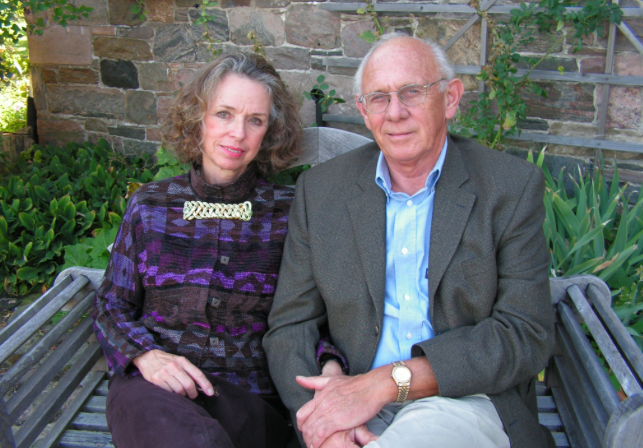 But thanks to Steve and Ann, the buildings have been preserved, and Herongate has been the site of many events over the years to celebrate the rich farmlands, the agricultural heritage, and the precious ecosystem of the West Duffins Watershed. 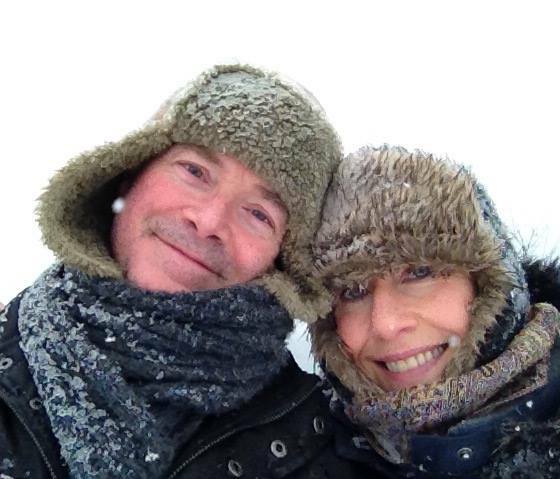 Steve and Ann, great neighbours and community members who believe in #FoodNotFlights! 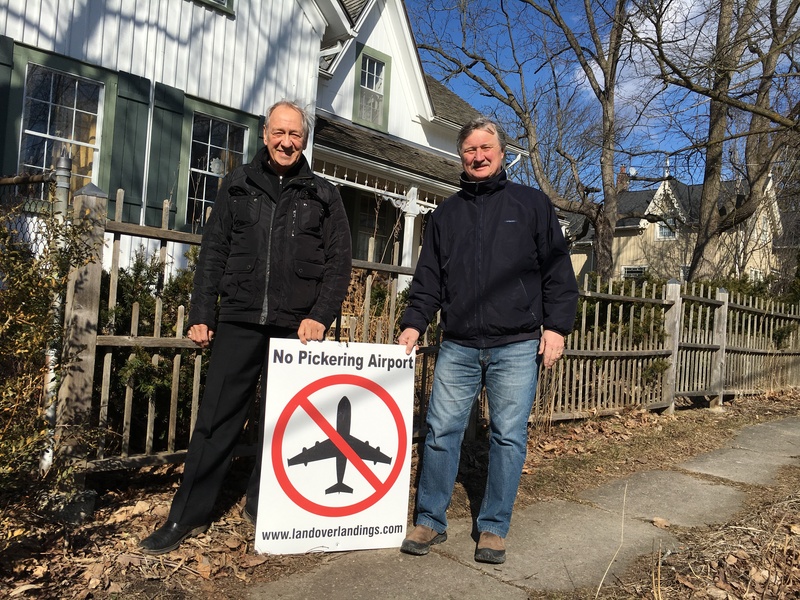 Jerry Mihailoff and Charles Sopher, Whitevale: There’s a reason why the charming heritage Hamlet of Whitevale has more #NoPickeringAirport signs than anywhere else, and that the community slogan is “Illegitimi non carborundum” (Don’t let the bast*rds grind you down). On March 2, 1972, Whitevale was within the 25,000 acres expropriated by the Province for a new city to support the federal expropriation of 18,600 acres to the north for a new airport. After Ontario pulled out of the deal and the airport was shelved, Whitevale was sold back. It thrives today, in large part due to a vigourous community. 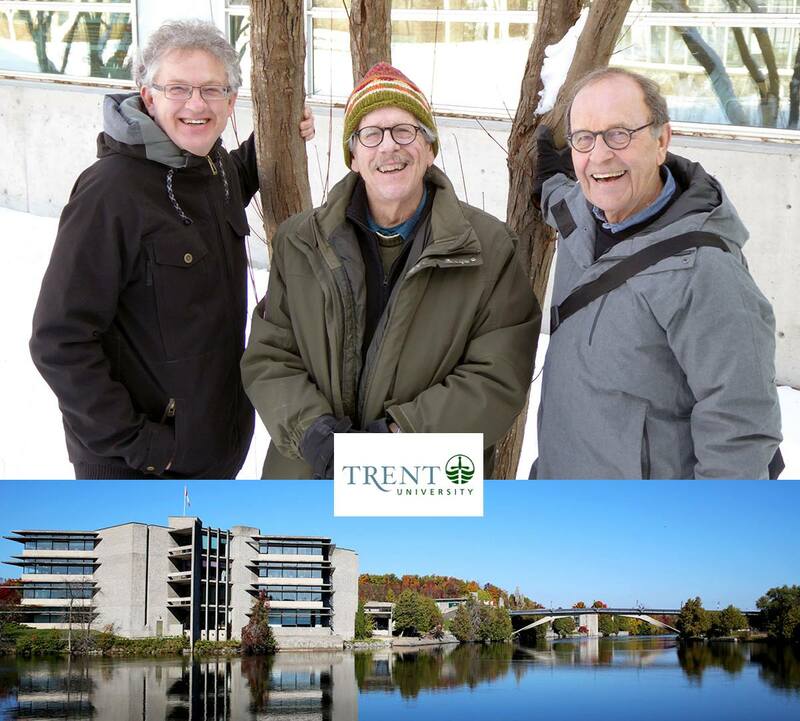 Jerry (left) has donated generously to our Ag Study, while Whitevale Ratepayers Association Treasurer, Charles issued a matching challenge: “These tireless proponents of foodland versus airport have commissioned a study on the economic feasibility and benefits of using the land set aside for the future airport, for agriculture instead. They are now only about $20,000 short of their goal. I will match donations dollar for dollar up to $500.” Thank you, Jerry and Charles, good neighbours indeed! Cam Scott, Pickering: High School Geography teacher Cam Scott has always made Land Over Landings part of his curriculum, even bringing his students out of the classroom to tour the Lands. 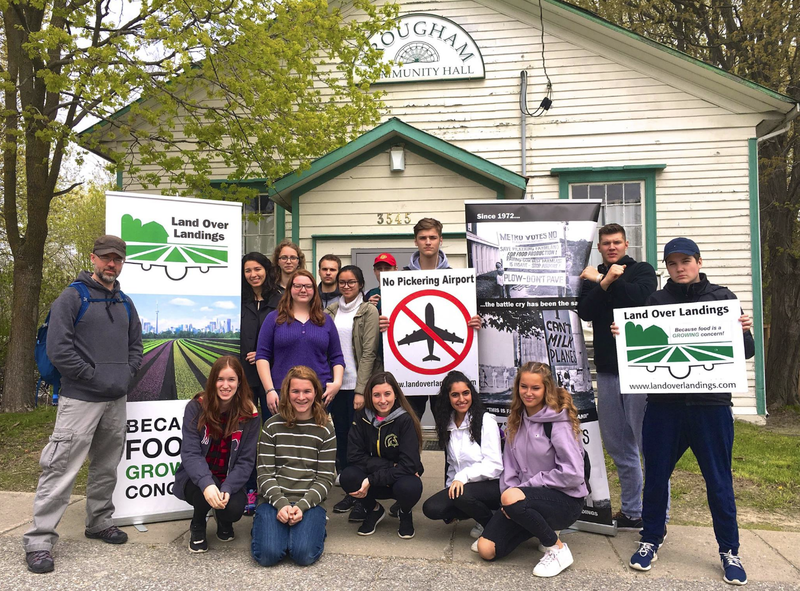 As a teacher in Durham Region for 30 years, a former student of Pickering High School, and a former resident of the community of Greenwood, he has donated to our Ag Study because “after 40+ years of study, it’s clear the GTA just does not need another major airport. But we do need food! With our population ever growing we need land for food, and the best agricultural land in Canada is in North Pickering. It is ‘Because food is a growing concern’ and can not be grown under tarmac that I feel we need to stop this ridiculous idea and understand that it is ‘food’, not planes, that we need in our backyard.” Thanks, Cam! We couldn’t agree more! Sandra Campbell and Cookie Roscoe, Toronto: Super local-food champions, Sandra (left) and Cookie were happy to donate to the cause of Land Over Landings’ Ag Study. 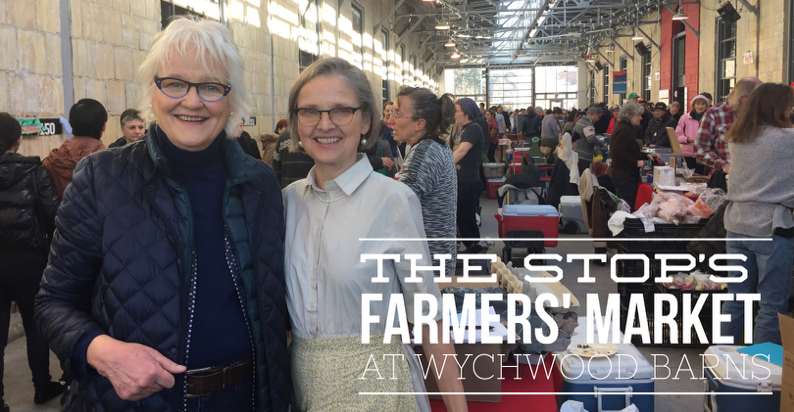 Sandra, author of The Moveable Airport and creative mind behind Abundance GTA, loves her Saturday mornings at Wychwood Barns Farmers Market, where Cookie is the manager. Sandra says “Let’s open the Pickering Lands for growers to feed many more of us! 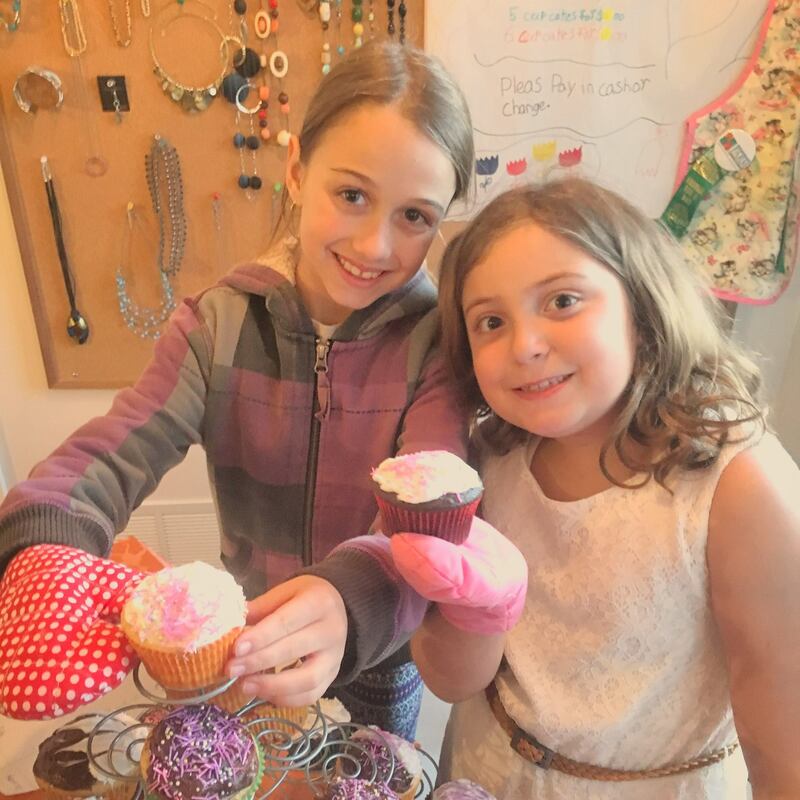 Great food/good jobs!” Cookie grins and adds, “Without food, we’re screwed:-).” Thanks for your donations and your passion for the cause of local food. You’re the best! 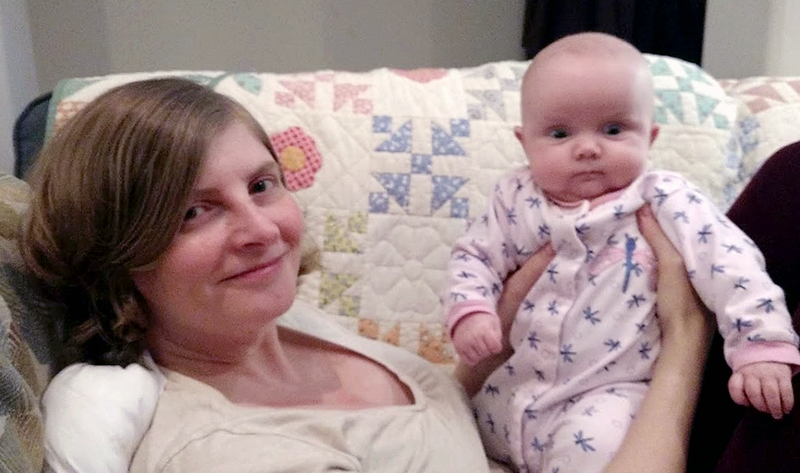 Alison Ellwood, Ajax: Alison, an elementary school teacher in Ajax, has been involved with Land Over Landings for several years now, teaching children about the value of farmland with The Potato Project. 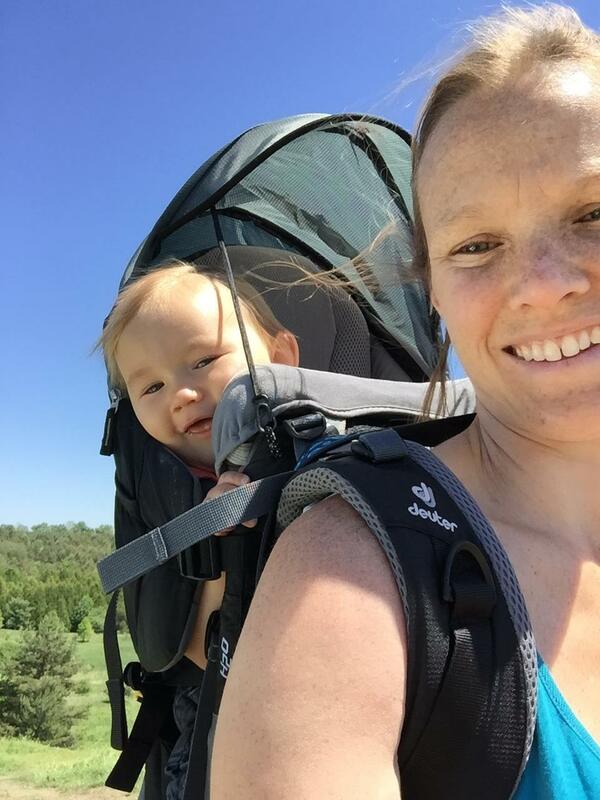 She has also donated to our Ag Study because “supporting local farms matters – on all levels. As a teacher and parent, connecting kids to our earth, water and soil is critical to raising healthy, informed leaders of tomorrow. 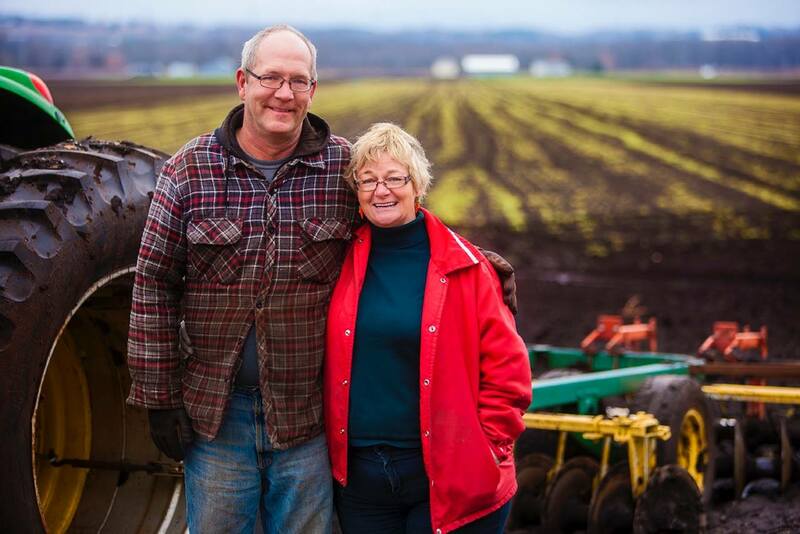 We have been lucky enough to plant potatoes with Jim Miller these past few years and the experience has had considerable impact on the well-being of our community. Students plant and harvest potatoes on Jim’s land. They learn how to cook them up and then share them with our breakfast club. Students are just beginning to grasp the idea that food comes from the soil – not the grocery store! Big thanks to Mary for introducing us and to Jim for his generosity and dedication to this project.” Thanks to you, Alison, and a big LOL welcome to the new little man in your life! Dr. Peter Moore, Markham: Fitness and health are kind of Peter’s ’thing’. So is community. And after over two decades of driving from home to work and back across Highway Seven he is as familiar as anybody with the changes in our rural landscape. 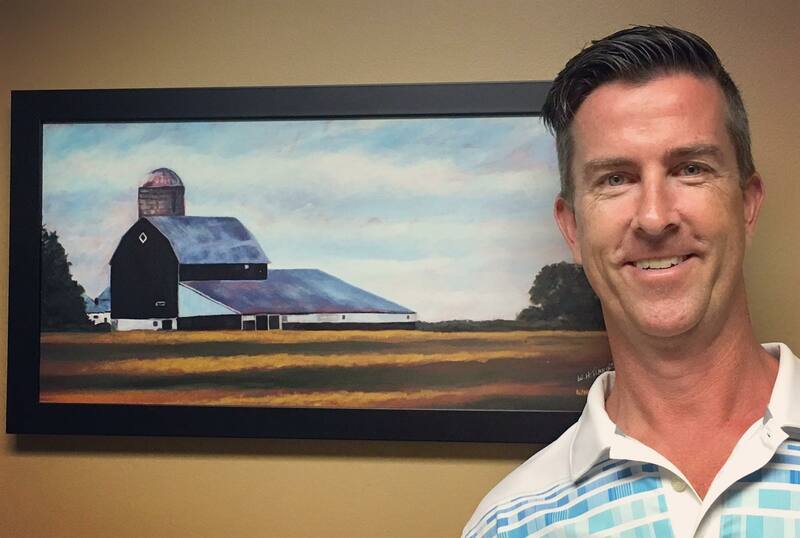 On the wall of the heritage building that houses his chiropractic office on Main Street Markham hangs this painting of a farm. The house and barn, beautifully rendered by Dr. Moore’s patient William H. Tomkins, formerly stood at 16th Avenue and Kennedy Road in Markham. ‘Dr. Pete’ writes: “The loss of the Beckett farm to urban sprawl is a stark reminder of how important Land Over Landings has been in the fight against the loss of more and more precious farmland.” We thank Peter, his wife Jessica Moore (Registered Massage Therapist) and staff at the Moore Chiropractic Clinic for their donation to our study, and for their ongoing commitment to community. Doug Moffatt, Uxbridge: What a guy to have in our corner!! Listing Doug Moffatt’s CV is exhausting. 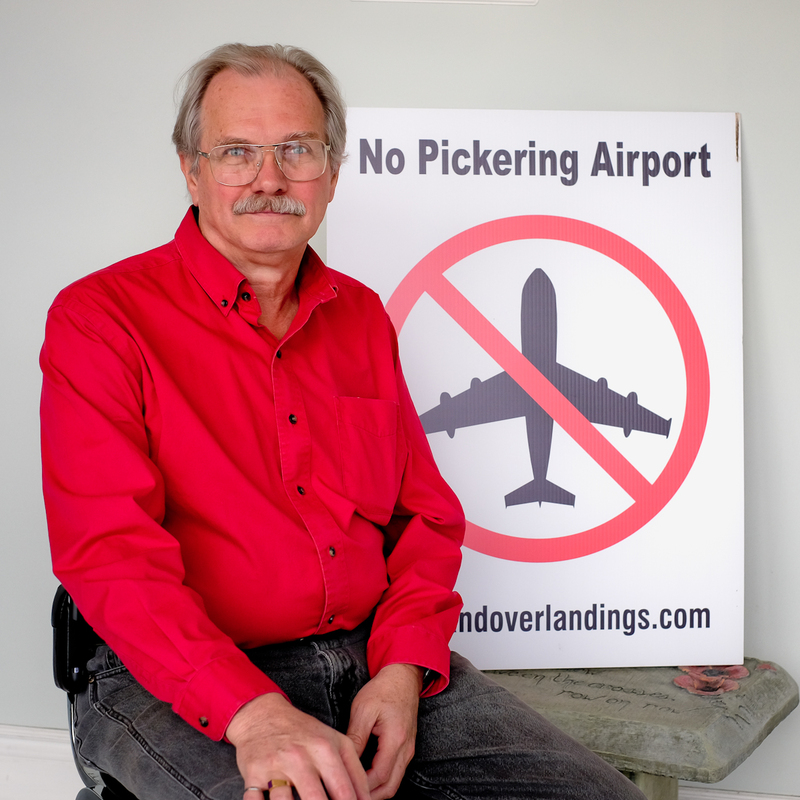 Former school principal in Pickering, Hampton, Orono; Mayor of Township of Scugog; Chair of the committee to create the first ever Durham Region Strategic Plan; Chair of the Durham Regional Police Service Board; small business owner; elected MPP along with POP leader Dr Charles Godfrey in 1975 on a ticket to stop the proposed Pickering airport; founding member of the The Highlands of Durham Games in Uxbridge; with his wife, Saundra Reiner-Moffatt a passionate supporter of arts and culture; and (his own words) ‘inveterate s**t disturber’ — and that’s just the tip of the iceberg! He had his first farm job at the age of 14 and eventually owned three farms. For 45 years he’s known we need more farmland, not less, and he recently put his money where his mouth is with a generous donation to our Ag Study, with its focus on producing jobs in agriculture and agritourism. He is a vigorous supporter who never misses the chance to encourage his fellow Uxbridge residents to support our cause, and we are in his debt. It’s energy and passion like Doug’s that keeps us going! Natalia Shields, Dunnville: Natalia’s iconic photo of the ‘Melancthon Potato Field Tree’ became the visual background for the message of Food and Water First, our good friends and partners. Today, with her generous donation to our Ag Study, Natalia stands with us and our work in Pickering “protecting prime farmland from commercial development, urban sprawl, and unnecessary airports!…. I’m very much in support of preserving farmland and also worry about food security in the not too distant future. This farmland is part of Ontario’s agricultural future. Food and water come first!” Thanks, Natalia, for your generous donation! 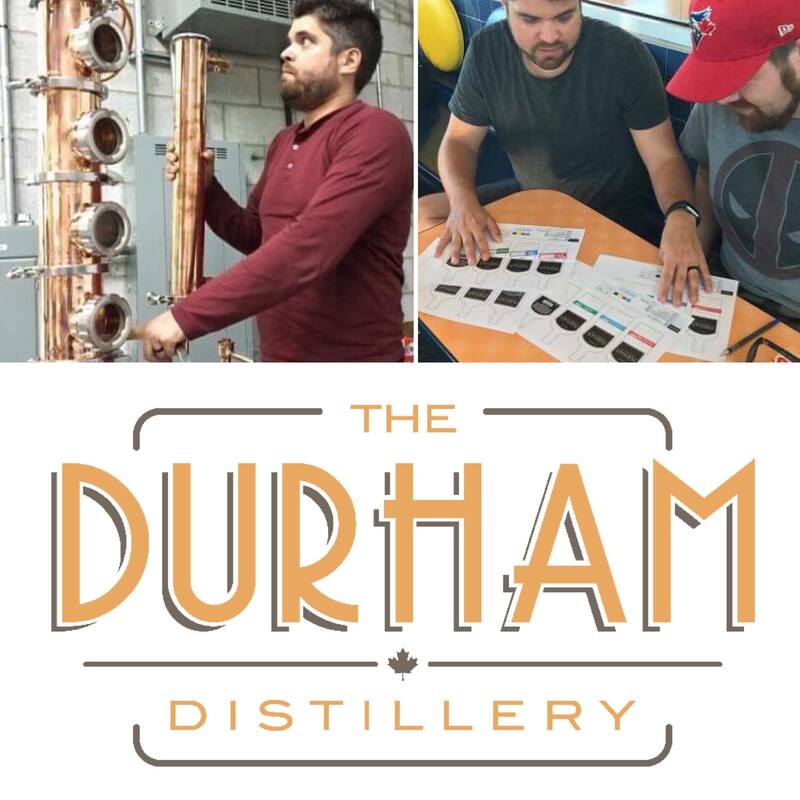 Michael Deegan, Whitby: Welcome to our newest donor and partner, the fledgling Durham Distillery! In fact it’s so new, it hasn’t even got a permanent location yet. We first connected when co-owner Michael Deegan asked if he could source locally grown grain. Michael, pictured here assembling stills and discussing labels with business partner Chris Ferg, is excited to make this a local product. Which is why he donated to our Ag Study! 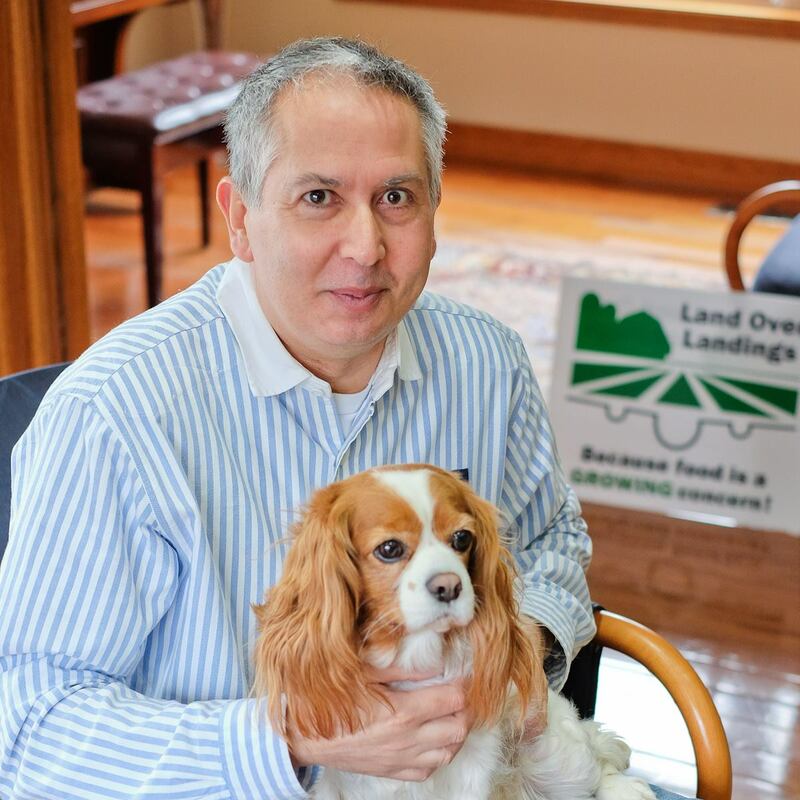 “Local agriculture is a natural resource for local food and beverage industries. Like all natural resources it needs to be protected and given the opportunity to flourish. The health and quality of agricultural land directly affects the local business that use it.” Stay tuned for more on this exciting new venture. Joanne Azevedo, Ajax: Former Land Over Landings’ executive member Joanne is still passionate about the work we do, and showed her support with a donation to our Ag Study. 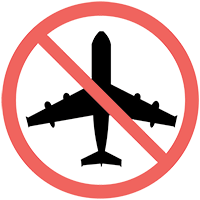 “My concern is not just about refusing the plan for an unnecessary, ill-conceived airport; I am also concerned about the need to plan for balanced, sustainable communities. 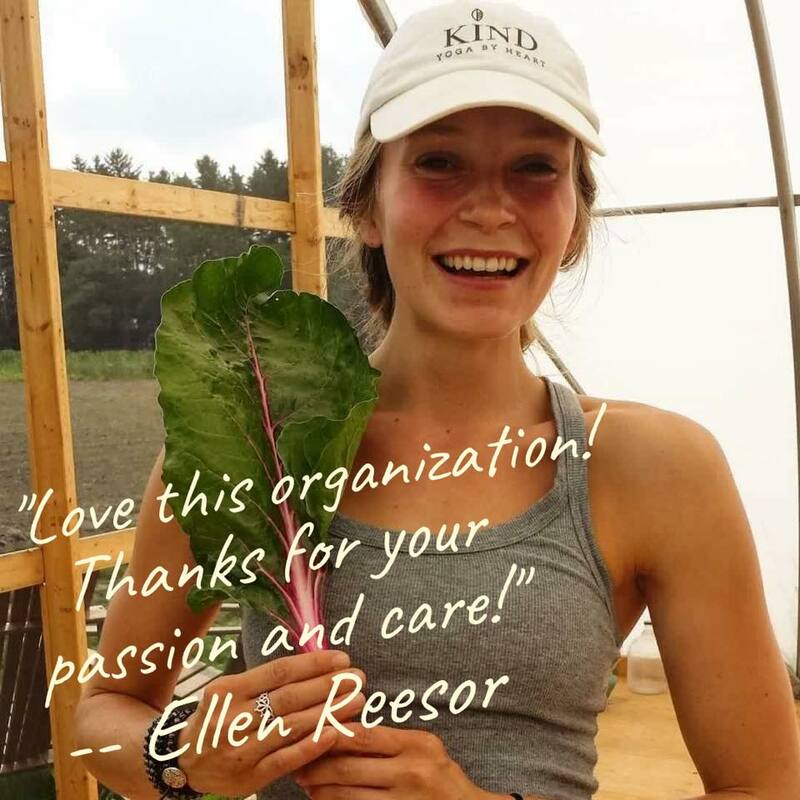 It is so important for us to imagine a world where we consider more than just the corporate bottom line; where we imagine, envision and strive for a community that is balanced and healthy. There is a crucial need for local family farms to produce healthy food for our community and that includes ensuring that agricultural workers are treated fairly and paid a living wage. What we eat, where we get our food, how we treat the people and animals – all of those elements of how our food is produced are crucial parts of a healthy community.” Joanne (left) is seen here with Canadian Union of Public Employees member Mary Jo Falle in 2013 when, thanks largely to Joanne’s efforts, NDP (Canada) Opposition MPs as well as reps from a variety of NGOs visited the Lands following the re-announcement of the airport by then Finance Minister Jim Flaherty. 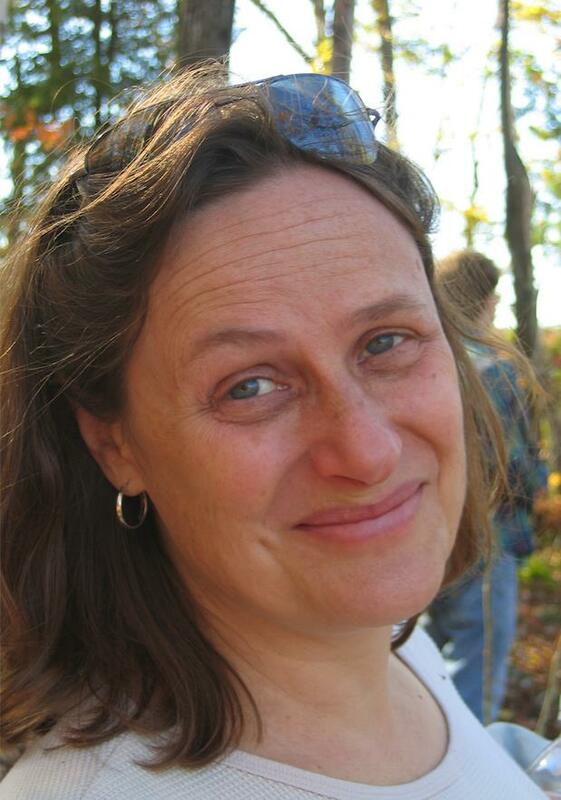 Today Joanne, a PhD candidate at York University Graduate School of Social Work, continues her advocacy as co-chair on both the CUPE National Environment Committee and the CUPE Ontario Environmental Working Group. Thanks, Joanne! Pascoe Family: Locals used to call Ken Pascoe ‘the man who built Brougham’. So what a thrill for us to meet his widow, Barbara, along with two of his daughters, Denise and Debbie at our ‘Bring It Home’ Harvest Festival in September!! Ken was a builder, and was responsible for most of the ‘new’ homes built just before expropriation, including ‘the subdivision’ on Donnalea Street, named for his other daughter. We were honoured to meet this family, thrilled to connect them with other former residents, and grateful to receive their donation to our Ag Study! 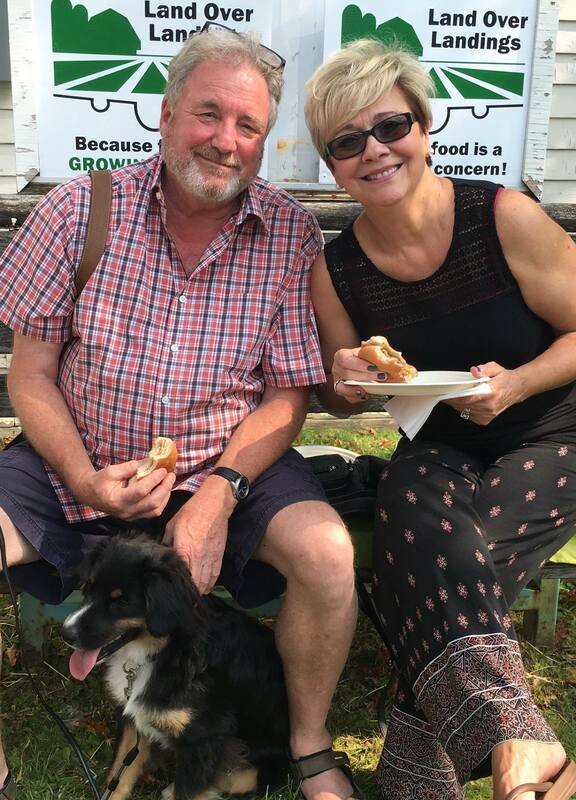 Bruce Gibson, Port Perry: It was a bittersweet homecoming for Bruce Gibson and his wife, Debbie Kowal, as they remember only too well how vibrant their community was before expropriation. 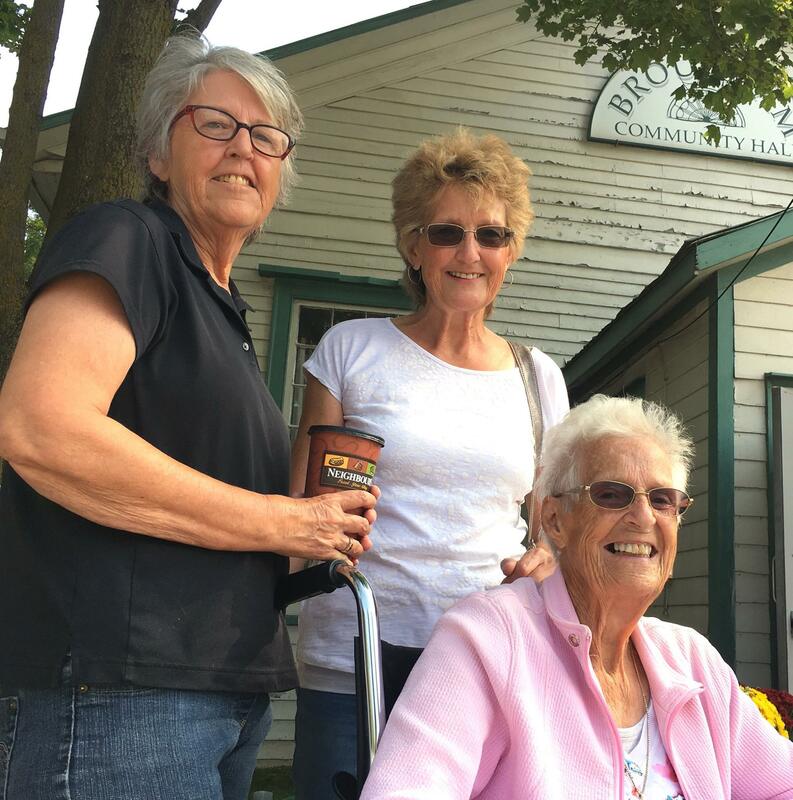 But at our ‘Bring It Home’ Harvest Festival in September the mood quickly turned to sweet reunions and delicious food — and hopefully a renewed connection to Bruce’s old hometown! To help that renewal along, Bruce made a generous donation to our Ag Study. As the son of Don Gibson, the man who created the famous ‘Good Things Gro-ow-ow in Ontario ‘ marketing campaign, Bruce knows these Lands should be for the production of food. Thank you! JOIN THIS GROWING COMMUNITY OF DONORS – CLICK HERE TO DONATE NOW!